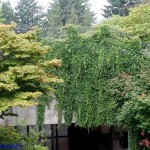 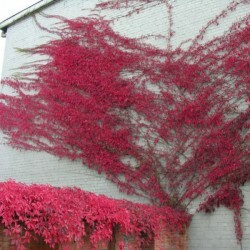 This North American native can be quite vigorous and will cover a stone wall or fence in no time. 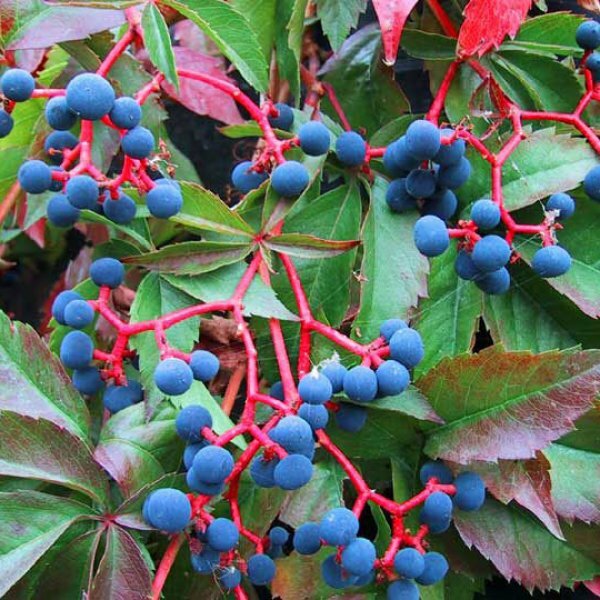 Virginia creeper is a tough woody vine that clings to surfaces via spidery tendrils tipped with flattened adhesive pads called holdfasts. In the wild, it is found across much of eastern North America from Maine to Florida eastward into Texas where it exists in forests and rambles up trees. 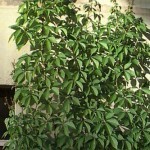 It is deciduous and has deep green palm-shaped compound leaves with five leaflets (quinquefolia means "five-leaved"). 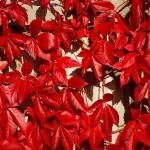 In the autumn its foliage turns fiery hues of red and orange. 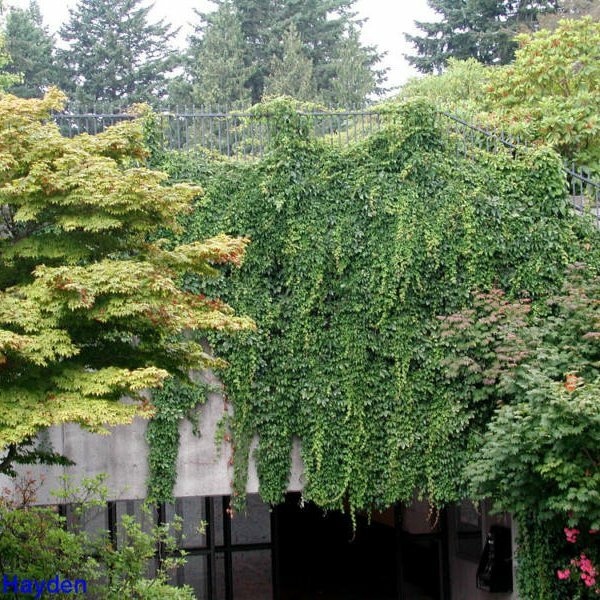 Virginia creeper blooms with inconspicuous flat-topped clusters of green flowers that mature into black berries. 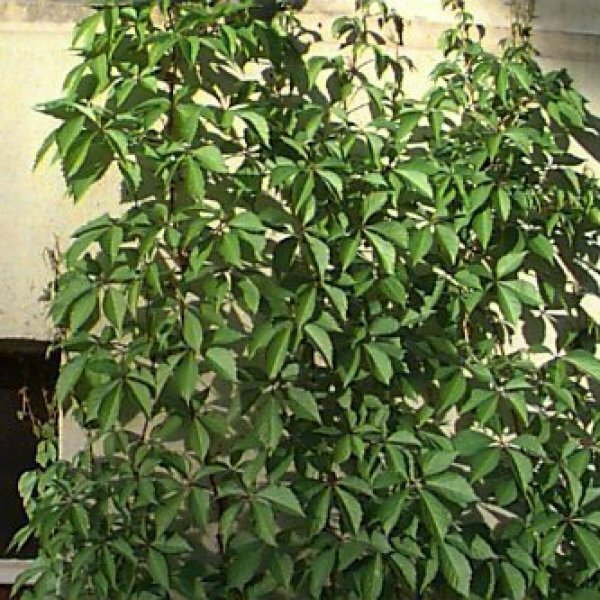 These are eaten by many birds and small mammals, which in turn distribute the plants freely.